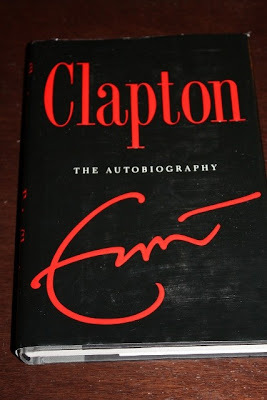 Maritime Vinyl: Clapton - autobiography! 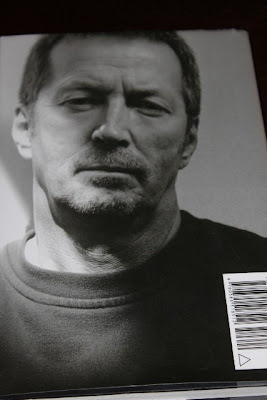 I just finished reading Eric Clapton’s autobiography “Clapton”. When I was a teenager I viewed Eric Clapton as pretty much the perfect guitar player. Although sometimes I strived for more experimental guitar playing, I could always count on Eric for precise ‘by the book’ guitar techniques. Around the time that I started listening to him, he released the “Unplugged” album which brought to mainstream the song “Tears in Heaven”. When this song came out it seemed like all adults looked at Clapton as the “mature” artist that they wished their kids listened to. They would much rather have their kids listening to Eric than the current trend of bands such as Guns ‘n Roses. This seemed to be the consensus in my neighborhood. Adults would not question him as a role model based on the fact that he could write a song as beautiful and moving as “Tears in Heaven”. 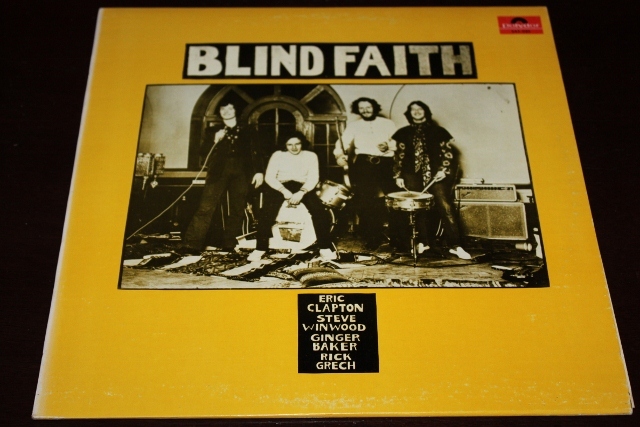 Little did they know that Clapton did enough drugs and drank enough booze to make Guns ‘ Roses look like the Brady Bunch. I think that Eric’s substance abuse history was the biggest revelation when I got older and started to learn the truth about my music idols. Not many adults figured a guy who wrote songs like this would be the same guy that would snort heroin for years only to give it up to take on a heavy drinking habit in its place. This autobiography shows Eric Clapton as a man who is full of regrets. He always talks about how bad he treated one person or how bad he must have looked in a certain situation. Only in the epilogue of the book does he mention that he has come to peace with his past and looks forward with a positive attitude. If he only knew that so many people respect him for what he has overcome. Many of us have battled addictions and I can only be impressed that somebody that had gotten as deep into substance abuse as him could turn 180 degrees and become a leader in the world of recovery. This autobiography is great with all the details, everything from joining John Mayall up to the years of the books release in 2007. I don’t know what is more impressive, the fact that he had such a successful career or the fact that he could even find time to write or perform with all the time spent on the bottle and on drugs. 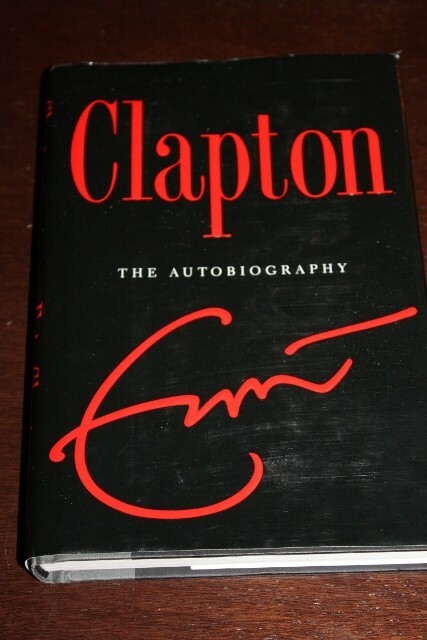 This was an exciting book to learn about the star Eric Clapton, but even more, a motivational book of how anybody can overcome addiction. I've yet to read the book, but I love a good (auto)biography, and especially when its about an artist I admire and enjoy. I agree with what Brad said. Its astonishing how prolific EC (and many other artists) was, when they were in the clutches of drug or alcohol addiction. I sometimes take a different view on things and wonder if it wasn't for the substances, would art have even been created? We all know the story behind the creation of Eric's "Layla" album (under the guise of "Derek & the Dominoes": Full blown cocaine and heroin addiction, a torrid affair with his best friend's wife and the emotional roller coaster this brought on, and the drugs to numb the pain and frustration. 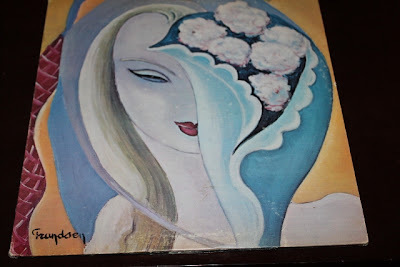 According to keyboard player Bobby Whitlock, during the "Layla" sessions, "there were no grams of stuff. There were bags laying around everywhere." Yet you listen to the "Layla" album and its an absolute masterpiece. It really is amazing that considering the substances involved and such, how this album stands up and is a legend. Which leads me to ask "would this album be just as good if it wasn't for the drugs?" I guess we'll never know. An artist's back catalog, the albums created at the time, really are products of their time. Would "Layla" have been the same if it was recorded stone cold sober? Would "Easter Everywhere" be just as profound if it wasn't for the LSD? While I don't condone drug use in any way, shape, or form, you have to think "what if (so-and so) was not drunk or stoned at the time." As with many of my favorite artists, I'm very happy to see Clapton clean, sober, happy and still making music his way. 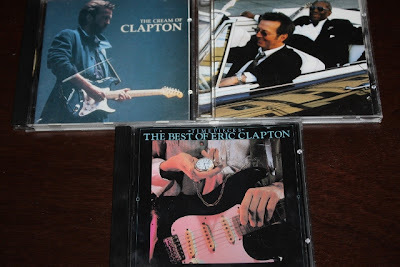 His last album ("Clapton") was no mind blowing revelation, but a sturdy, solid set of tunes that make for good listening anytime. And when I hear of a favorite artist enjoying live and thriving and living a clean life, it really makes me wish that addiction was not a part of our society. I can't wait to give this book a good read. 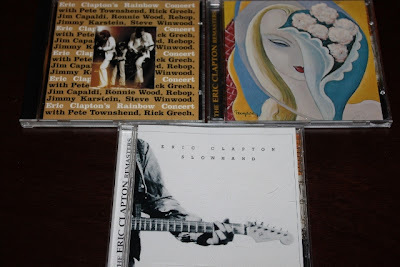 Now I must put on some Clapton. I just bought his album "Pilgrim" at a thrift shop today and am eager to give it a spin. 180 gram records.. Are they worth it?? 'Tis the season for Christmas albums! The Sheepdogs & Yukon Blonde in Fredericton! Disneyland Records - response from Keltie! Keltie's comments on "Clapton" autobiography!